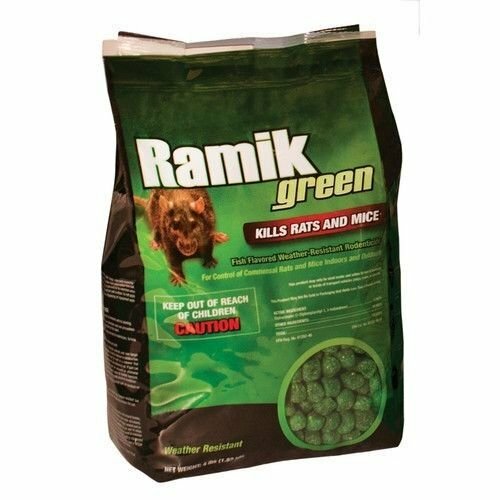 Ultimate; All Weather Rodenticide For Killing And Controlling Norway Rats; Roof Rats And House Mice Indoors And Out. Especially Suited For Use In Wet And Damp Areas. Green; Fish Flavored Nuggets Retain Its Freshness And Effectiveness Even In Difficult Conditions. Contains The Active Ingredient: Diphacinone. Even In Difficult Conditions. Contains The Active Ingredient: Diphacinone.